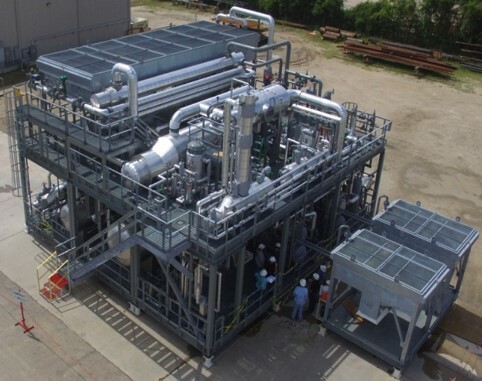 F&C Engineers provided complete engineering design, detailed construction drawings and construction surveillance for a 35 MMSCFD gas stabilization unit with residue gas compression utilizing a Refrigerated Joule Thomson (RJT) process. Civil included from site preparation to complete detail foundations, Structural for all skidded equipment, Mechanical, and Electrical tray. 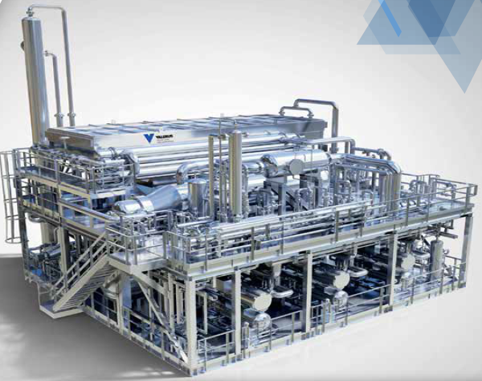 Modular designs allow for complete pre-packaging of the plant. The key elements of the RJT are all included in a 6 skids module with all pieces of equipment, minimizing field work and allowing for faster, less expensive, and safer execution and installation. Installation from raw ground to full operations was accomplished in a record 7 weeks. Equipment included: 6 Modularized skids holding: Separators, Chillers, Exchangers, Hot Oil Based TEG Reboiler, TEG Filters, Stabilizer Tower Reboiler, Preheaters, Overhead Coolers, Refrigeration Compressors and Oil Coolers. Separate skids contain piping to residue gas compressors and hot oil system.